When it comes to the global book markets, book fairs are often a better barometer of interest in books than book sales as reported by retailers. Vast numbers of books are sold at book fairs and festivals that are untracked by the retail stats counters and go largely unremarked on the Anglophone publishing circuit, where one could be forgiven for thinking the international book market is a handful of countries and in the rest of the world books are a novelty. 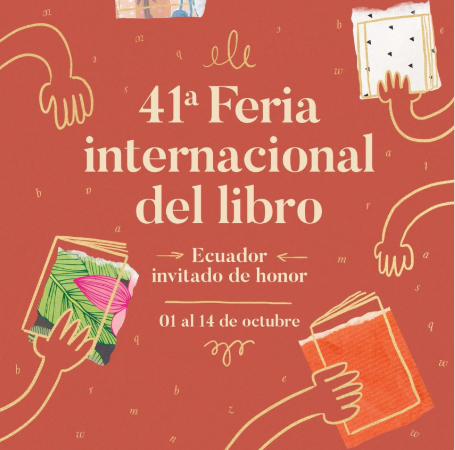 The 41st FIL Montevideo is approaching and, while not one of the bigger Latin America book markets, it’s certainly one to watch. Ecuador will be guest of honour this year, at the event organised by the Uruguayan Book Chamber. Uruguay’s Children’s and Youth Book Fair was back in May-June, and Uruguay’s smaller San José fair is running right now (Sept 9-16). As the second smallest country in South America after Suriname, it may be Uruguay isn’t somewhere you’ve considered as a book market, and its true that with a population of just just 3.4 million it’s not a massive market. But for those fielding ebooks this might come as a pleasant surprise: More than 3 million Uruguayans are online. That’s internet penetration of 88%, second in South America only to Argentina. An opportunity to be a big fish in a small pond. ← Previous Previous post: Ever dreamed of owning an English bookstore in Italy? Now’s your chance!